Jerome H. Neyrey gives us a thoroughly up to date and comprehensive study of two of the most obscure books of the New Testament. Written after the death of Jesus and his Apostles, the Epistles of 2 Peter and Jude offer a glimpse into the turbulent life of the early Christian communities. 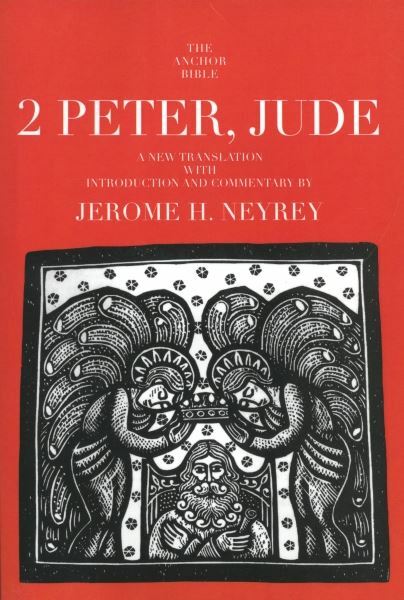 Neyrey’s fascinating study not only provides an entirely new translation of the two texts, but also stirring commentary that takes the reader inside groups located at the very edges of Christianity, in contact with the wider Roman world and Greek culture of the day. Neyrey builds upon the excellent scholarship of the past, and introduces into the discussion factors that were rarely understood or considered in earlier times: the social, political, and economic setting in which the New Testament Epistles were written and read—the church as a community within the larger context of the vast Roman Empire of the late first and early second centuries. And while these letters are often considered peripheral or marginal to the New Testament, they nevertheless reveal and interpret one of the murkier eras in the life of the church. They reflect the hard times and difficult circumstances of the faithful, beset by treacherous comrades within and malevolent enemies without. But all the while, these documents express the constancy and commitment of those who found salvation and the renewal of life in the one Lord, Jesus Christ. Jerome H. Neyrey, a Jesuit priest, is Professor of New Testament at the University of Notre Dame. He received his Ph.D. from Yale University, is a past associate editor of the Catholic Biblical Quarterly, and is currently associate editor of the Biblical Theology Bulletin.